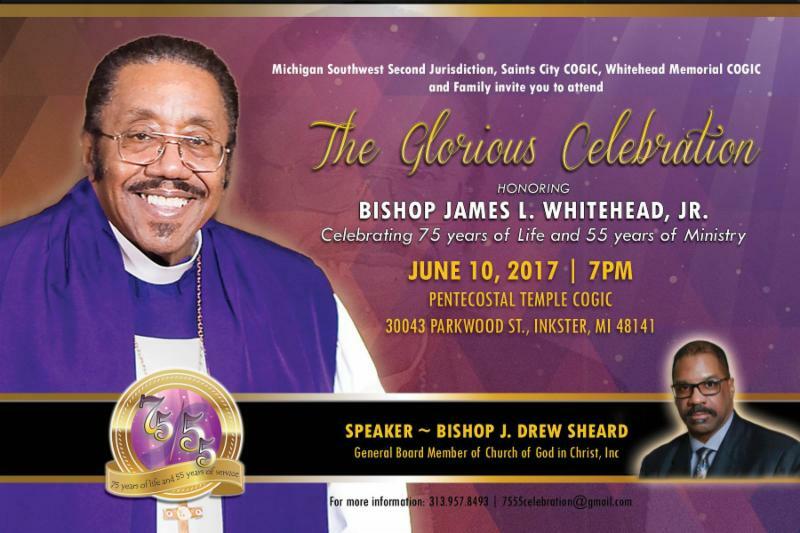 Bishop James L. Whitehead, Jr.
…Celebrating 75 years of Life and 55 years of Ministry. (General Board Member of Church of God in Christ, Inc.). For more information: call 313-957-8493 or visit 7555celebration@gmail.com.